Harvesting human energy is a common approach to improve our health and lowering the dependency on the fossil fuels. People do exercise mostly in the confined closed space where there is no interaction with nature, except through windows. Now, an Italian architect Carlo Ratti Associati has done something unique to inspire people and spread awareness about health and nature. 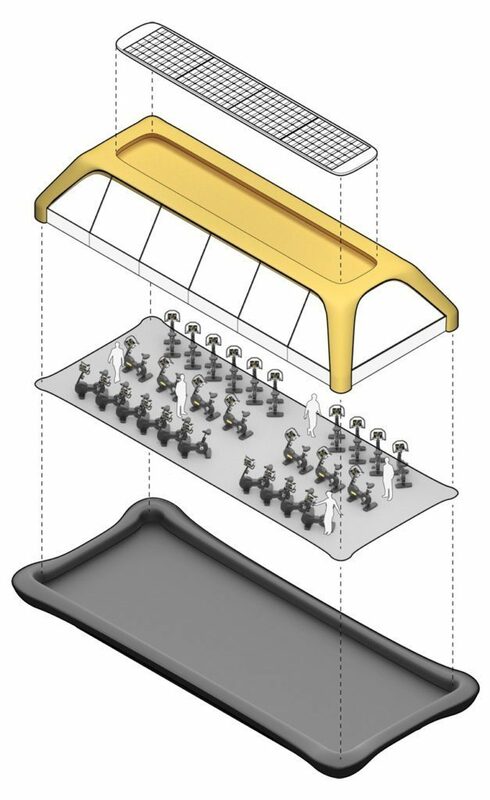 He has designed a floating ‘Paris Navigating Gym’ for fitness enthusiasts that powered by human energy in Paris, France. It’s a 20-meter-long and would be powered by Technogym’s revolutionary ARTIS exercise machines. 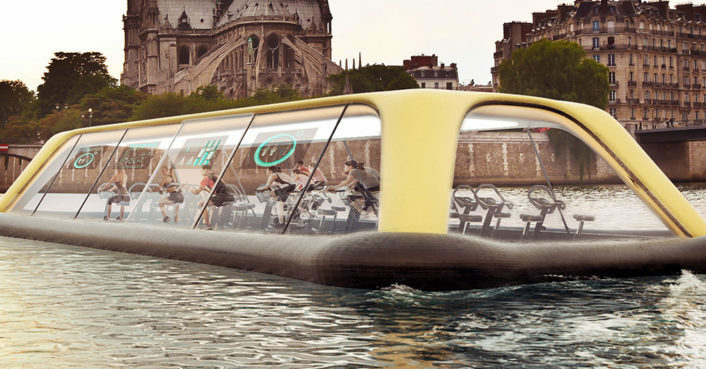 The Navigating Gym will allow Parisians to inhabit the river all year long. 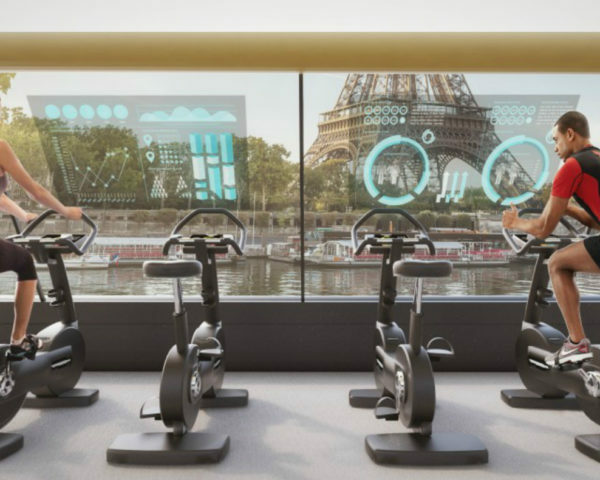 The augmented-reality screens installed on the boat will show guests both the quantity of energy sourced from the workout data about the Seine’s environmental conditions, tracked in real time by sensors incorporated on the vessel.